Charitable giving plays an important part in the life of Masonic Lodges. Freemasonry is the largest contributor to charity in England after the National Lottery. 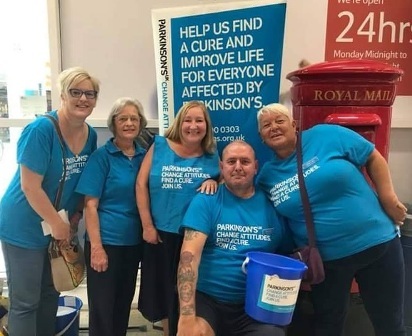 The Worshipful Master's chosen Charity this year is Parkinson's UK: focussing on the local branch of this worthy organisation. The Charity is involved with many levels of Parkinson's, not only treatment and therapy, but family support, legal assistance, but with events. functions and campaigns aimed at increasing awareness and understanding, the increasing use of apps and devices to assist those who suffer with the disease, and ongoing research. 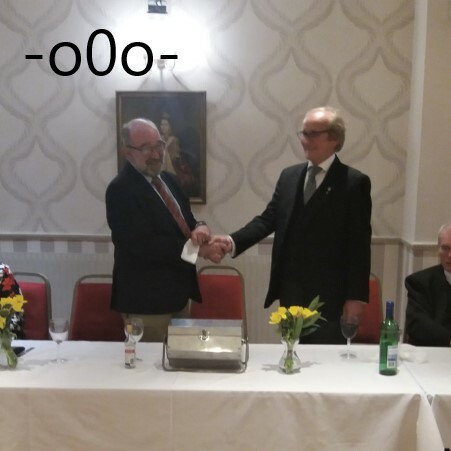 On Thursday 28th March 2019 the Worshipful Master Terry Black Presented a cheque for £1000.00 to Parkinsons UK at the festive board following the regular meeting.